In the spotlight: Our newly developed CubeSat is featured in Kunststof Magazine. 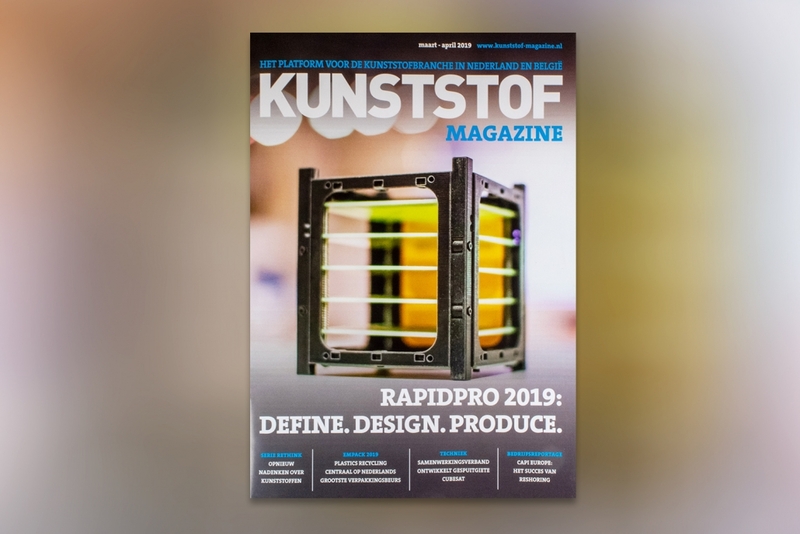 The latest edition of Kunststof Magazine features a great article on the injection moulded CubeSat that was developed in close cooperation with Promolding B.V. It describes the different aspects of development; the design decisions, choice of material and the use of advanced 3D-printing techniques during the different stages of the process. In addition, much attention is paid to the collaboration between GTM and Promolding in the frame of the newly founded Technology Park Ypenburg (TPY).